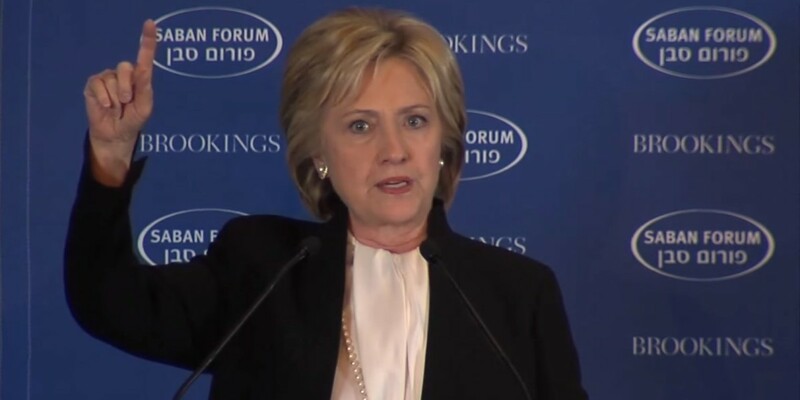 At the 12th annual Saban Forum hosted by the Center for Middle East Policy at Brookings Institution, former US Secretary of State Hillary Clinton spoke of the need for Americans to move from fear to resolve in order to defeat terrorist outfits like ISIS and shared her opinion on how tech companies must step up to aid this effort. …it’s the nexus of terrorism and technology. We have a lot of work to do to end it. … technology is a disruptive force that leads to an exponential increase in activity. ISIS is an exponential force right now. That’s why it requires us to bring together governments and high-tech experts to figure out how we disrupt [terrorist organizations]. Resolve means depriving jihadists of virtual territory just as we work to deprive them of actual territory. They are using websites, social media, chatrooms and other platforms to celebrate beheadings, recruit future terrorists and call for attacks. We should work with host companies to shut them down. The issue with Clinton’s statements is that she is vague about what tech companies should do to help stamp out the threat of terrorism. In the past, she has argued for the need to weaken encryption so as to allow government agencies access to private online communication. With her latest speech, Clinton has articulated the need to dismantle terrorists’ methods of spreading their propaganda and reaching out to potential recruits. But she hasn’t been able to chalk out an actual strategy for doing so, or even explain a framework of thinking behind such an initiative. There needs to be more talk about improving security agencies’ abilities to gather and act on relevant intelligence about targets. Snooping on the entire country is perhaps the worst idea that’s been floated as a possible solution, but it doesn’t work and only serves to reduce the US to an Orwellian state. Tech companies can’t figure this out alone, and Clinton is right to call for their increased collaboration with government agencies to tackle the growing terrorist threat online. It’s time to think beyond measures that will impinge people’s rights.